is a program designed to engage with and support first-generation students. Currently, UWM consists of 39% of first generation students. Receive information about U1.0, campus resources, and to meet other faculty and staff who were first generation students. Share personal success stories to encourage and inspire other first generation students. Become more involved and join the new first generation student organization, Gen 1.0! 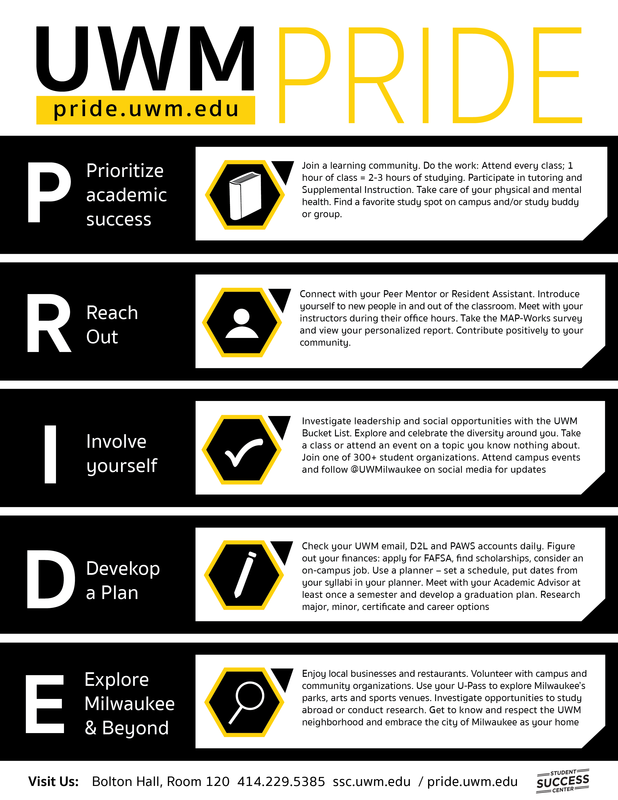 Our mission is to build a community of support for first generation students at UWM, celebrate our strengths and accomplishments, and promote awareness through education, advocacy and community engagement. Check us out on our Facebook page for more updates! If you have any questions please contact: uwmgen1.0@gmail.com. As a member of a Living Learning Community at the University of Wisconsin-Milwaukee, you get to be part of a “community within a community” by living in the residence halls among students with similar interests. There are multiple Living Learning Communities at each UWM residence hall. For more information on LLC’s click here. What path is right for me? What do I stand to gain? What are my funding options for school? This interactive mini-course provides information and tools to help you answer these questions and more!